Red boots, green boots, swishing through the hay. Bee and Billy are so excited... They're on the farm today! 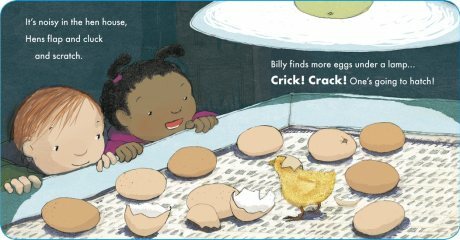 Join friends Billy and Bee in the second instalment of a brand-new "First Experiences" series set in the urban city centre. 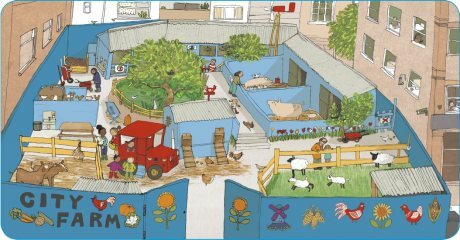 Today let's go to ... the farm! Billy and Bee are so excited to meet the animals. It's boots on quick, as there are lambs to be fed, piglets to be played with and hen's eggs to be hatched! An introduction to first animals and a lively celebration of a toddler's first farmyard experience, this delightfully rhythmical read-aloud text for the very youngest of readers is paired with gorgeously fresh artwork from Anna Hibiscus illustrator, Lauren Tobia. Let’s Go to the Farm! 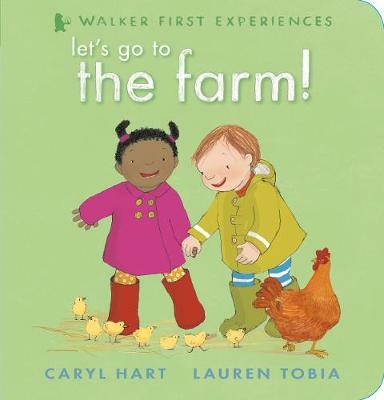 is the second book, in the “First Experiences” series from Caryl Hart and Walker books, the first book was called ‘Let’s Go to Nursery!‘ and introduces the characters of Bee and Billy.